The MuzicNotez chickz are avid indie and underground lovers just like us! It was a natural fit for us to team up, and has been great working together. 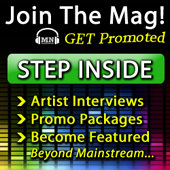 They continually help us promote our talent and find new music for us to check out. Hit them up any time! 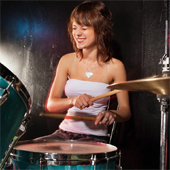 Kristi Rockz is a rocker chick, a drummer and an indie fanatic. She’s always either out to a show, or finding new bands to feature on MuzicNotez. Feel free to hit her up any time if you feel you fit the bill. Hailee is more in to the electronic, pop and rap scene. However she loves to rock out too! She’s is a writer in our magazine as well. Send her some music sometime and maybe she’ll write about it! Esquille has released his follow up single “Heyo” and it’s been climbing in the charts ever sense! View the official music video below.